Sapphire comes from the Greek word for blue, sappheiros , and this gem provides the most beautiful blues of the gem kingdom. The ancient Persians believed the earth rests on a giant sapphire. Its reflection, they said, made the sky blue. Sapphire is the original “true blue”: the gem of fidelity and of the soul. In ancient times, a gift of a sapphire was a pledge of trust, honesty, purity, and loyalty. This tradition makes sapphire a popular choice for engagement rings. But sapphire doesn't have to be blue to be beautiful. 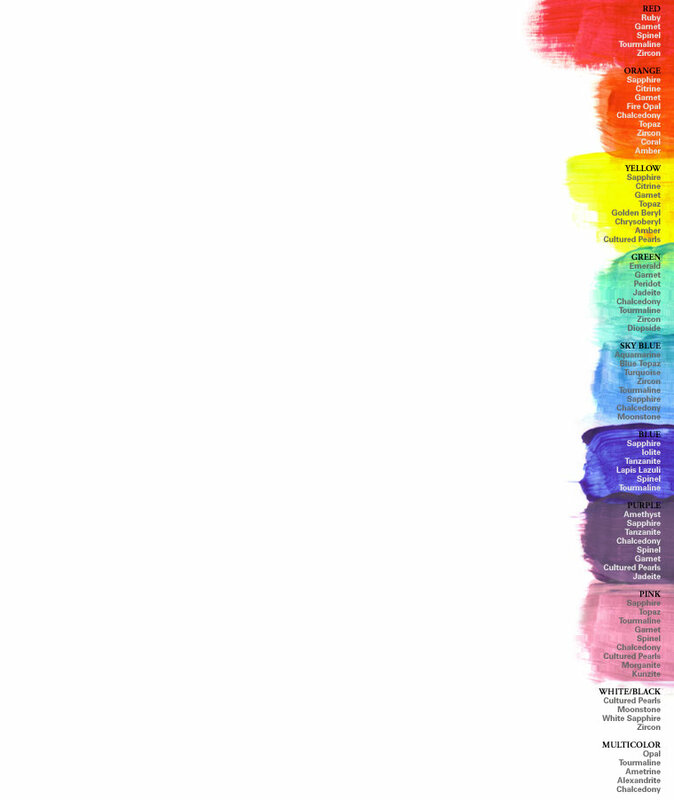 Sapphire also comes in beautiful pinks, yellows, oranges, and peach and violet colors. These other colors are often referred to as fancy sapphire. In fact, sapphire comes in every color but red, because a red sapphire would be a ruby: both are the mineral corundum. The most south-after color of fancy sapphire is the rare and beautiful padparadscha sapphire: a pink-orange corundum with a distinctive salmon color reminiscent of a tropical sunset . Found mostly in Sri Lanka, these ultra-rare, ultra-expensive stones are among the most coveted gems in the world. Pink sapphires are a current fashion favorite. Jewelry designers are setting sapphires in bubblegum and powderpuff hues in platinum or white gold in exquisite styles adorned with pave diamonds. As designers have delighted in pink sapphires, they have also begun to discover related hues such as violet, purple, and a bright reddish-orange some call "papaya." With earth tones now featured in clothing, jewelry manufacturers have begun to explore corundum's extensive range of yellow, golden, and orange shades. Sapphires are found in Kashmir, Burma, Sri Lanka, Madagascar, Thailand, Cambodia, Australia, Tanzania, Kenya, and the United States. Sapphire with fine color is so desirable that producers take an extra step after mining and before cutting to make sure that a sapphire has the best hue possible. Most blue sapphires are heated almost to 2,000 degrees which can intensify the color. Sometimes dark sapphire can be lightened by heat but this process often doesn't work. Fancy colored sapphires are also often heated to develop the best possible color. Some sapphires are heated to improve clarity as well as color. Heat enhancement is stable, routine, and does not require special care. If you want a sapphire whose color is natural, insist on a report from a recognized gem testing laboratory like the AGTA Gemological Testing Center indicating the stone shows no evidence of heat alteration. But also be prepared to pay a premium for the privilege. It is also recommended that you ask for lab verification of origin for any sapphire purported to be from Kashmir, Burma, or any other prestigious country of origin. Stones proven to be from certain localities command a premium based on that fact. Sapphire occurs readily in sizes up to 2 carats, and yet, it is not unusual to see gemstones in sizes of 5 to 15 carats. Sapphires are most common in cushion and oval shapes. Other shapes, including rounds, emerald cuts, princess cuts, and trilliants are readily available in sizes under a carat. Sapphire has a hardness of 9 on the Mohs scale and is also extremely tough. In its common form, it is even used as an abrasive. 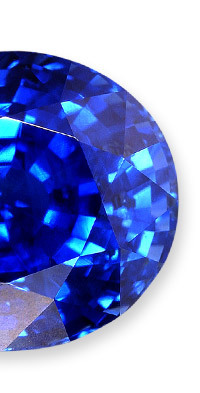 As a result, sapphires are the most durable of gems. Clean with mild dish soap: use a toothbrush to scrub behind the stone where dust can collect.